BATAC CITY, June 18 – Public works officials have assured commuters and motorists that normal vehicular traffic flow along the national road here will be restored when the repair works of two bridges are completed by August and October. District Engineer Mathias L. Malenab of the Department of Public Works and Highways (DPWH) said the repair works of two major bridges have affected motorists plying the Manila-Ilocos route. The rehabilitation of Tabug bridge and Nagbibingcaan bridge, with a combined funding of P23.9 million, started last month. “The two infrastructure projects are funded by the national government through the General Appropriation Act of 2014 with the DPWH as the lead implementing agency,” Malenab said. In San Nicolas town, DPWH is also set to widen the San Lorenzo narrow bridge as signages were already installed near the project. 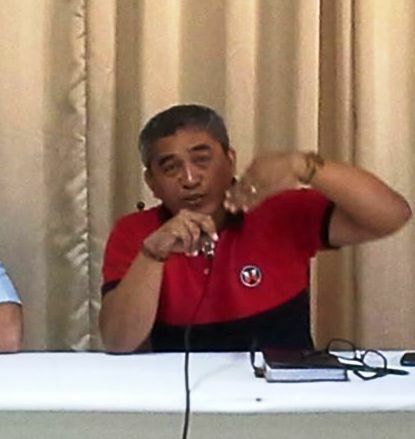 Malenab said the road connecting the Batac bridges was closed to heavy vehicles. The DPWH advised northbound vehicles to take the Currimao-Paoay-Balacad Road using the Laoag Airport road while southbound heavy vehicles shall take the Laoag-Airport Road through the Balacad-Paoay-Currimao Road. “The eastbound vehicles and motorists will be detoured through the Paoay-Batac Crossing Road or the Suba-Baay Road,” Malenab added.